Owning a car is right on top of every person’s bucket list. But, did you know that buying a pre-owned car is the most affordable and practical way to check it off your list? 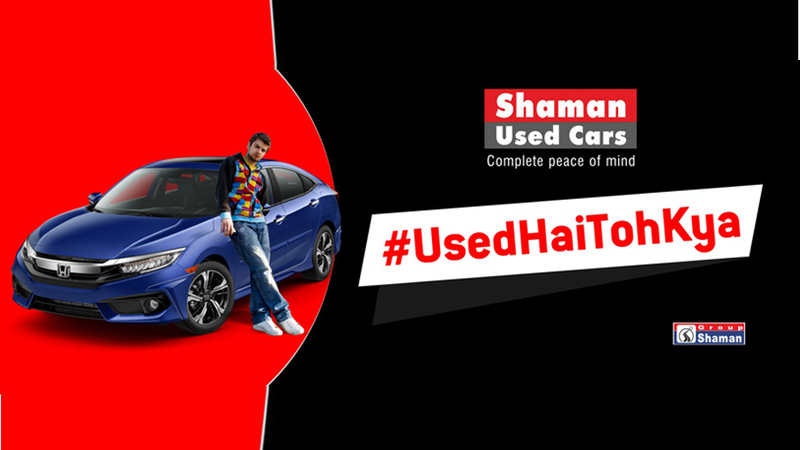 In India, the pre-owned car market is growing at a breakneck speed and Shaman Wheels is spearheading the entire initiative. Every major automobile company or dealer has their finger in the pre-owned car pie, and is fighting for its share in the booming market. Despite this, there are numerous myths prevalent in the country about buying pre-owned cars; myths that make one think twice, even thrice, about going in for a pre-owned car. Myth- A used car is a used car. Period. Busted- If you think that all pre-owned cars are alike, you’re highly mistaken. In fact, nothing could be further from the truth. The fact is that cars that have clocked in lower miles, are well-maintained, and in first-rate working order, are way, way better than a car that is poorly maintained and has never been serviced. Such cars sustain for the long haul and give you an excellent outcome in the long run, should you choose to buy one. Busted- Pre-owned cars are as reliable as new ones. With impressive advances in automotive technology, today’s cars are built to last. In fact, they can have a run of even 2,50,000 – 3,00,000 km without any serious issues. A car with just30,000, 50,000, or even 1,00,000 km is definitely sale-worthy.An excellently-maintained, regularly-serviced pre-owned car will give you as good a service as a new one. And no, it won’t crank up on you in the middle of nowhere. Busted- How much fuel a car burns has nothing to do with its age and level of usage. If the car you’re looking to buy has a great history of maintenance, regular oil changes, meticulous servicing at prescribed intervals, rest assured that it will not guzzle more fuel than it was designed for. Myth- Cars up for resale have become awfully troublesome and require a huge amount of regular repair jobs that guzzle money. That’s why the owner sold it in the first place. Busted- Just as people want to upgrade their gadgets to the ones with the latest specs, similarly, people in today’s age want to upgrade their cars to the latest models in the market. Gone are the days when first cars were often the last and only cars people owned. Today, people think nothing of trading in their three-year old car model with the latest set of wheels in the market. And where do these two, three, four year old models end up? In the pre-owned car market, of course! Busted- A warranty for a pre-owned car is as good as one given for a new car. All you need to do is be aware of what the warranty covers and for how long. In fact, if the original warranty of the car has run out, then the warranty you getwith the pre-owned car is your best bet to safeguard your investment. Some dealers even give an extended warranty with your pre-owned car, which is excellent value for money, if you ask us. These, then, are the top myths prevalent about pre-owned cars which we’ve busted to smithereens. Now that you know they’re just hogwash, put aside the baseless fears and go ahead with buying that awesome car you always wanted, at a fraction of the price! At Shaman our philosophy is ‘complete peace of mind’. Allow us to help you choose your dream car. At Shaman Wheels, we vouch for quality and longevity. Visit our website http://www.shamanusedcars.com/ and choose from different range of cars at affordable rates. Live your luxury, live your dream. Happy Driving!! !